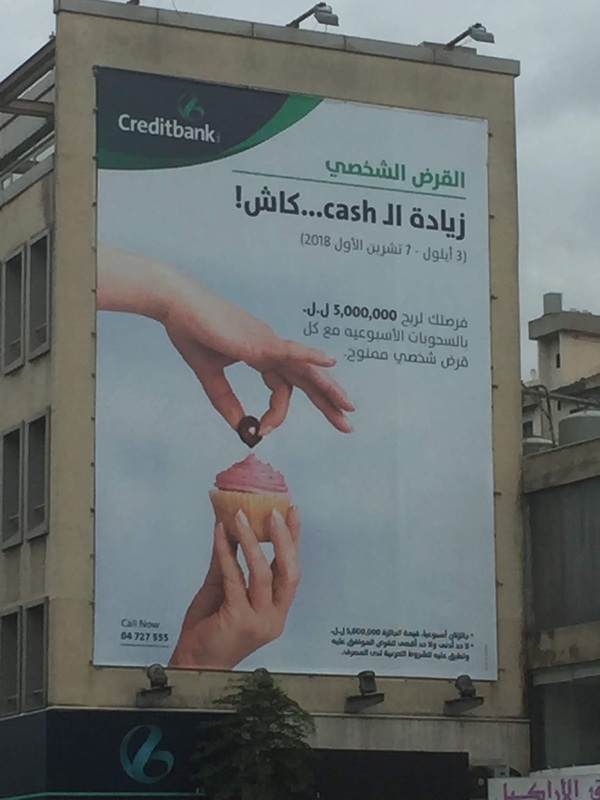 Tarek Chemaly: Creditbank and the ad that say more than it think it does. Creditbank and the ad that say more than it think it does. I have been a big far of the ads of Credibank ever since they changed their logo - they are always minimal, to the point, without being cheap or undercooked. This one - for the personal loan - walks the same route with a major twist: It says a lot more than it thinks it does. The line is beautiful - zyedet el cash... cash (which is a twist on the Arabic line zyedet el khayr khayr - more of what is good is good). The visual, which is supposed to be simple, says "with the cherry on top" (apart from the fact this is the same visual used for a bank ad many many moons ago) the Arabic language has a different euphemism for this "w 7abbet misk" (with a mastic over and above it). My suggestion: Credibank should have let the line take center stage, solo, with no visual embellishments. The ad would have still been just as punchy!